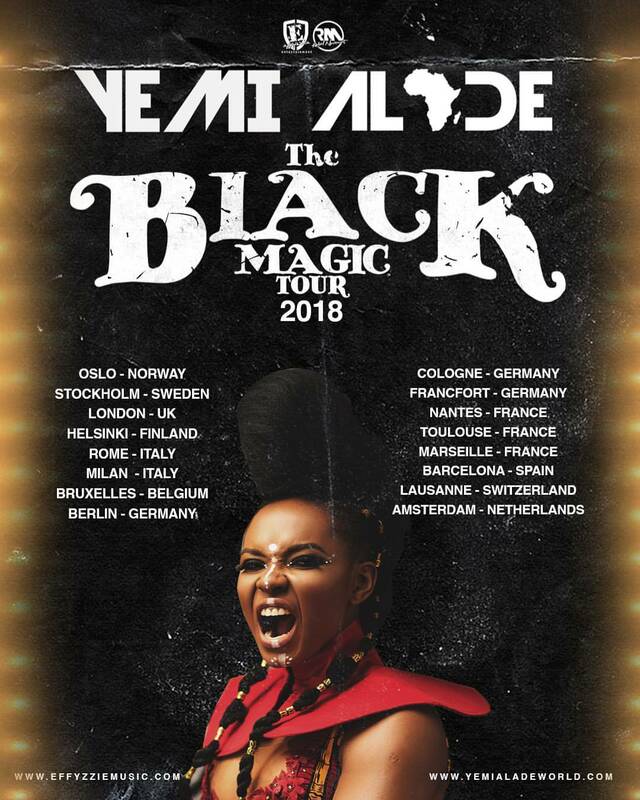 Nigerian music star, Yemi Alade has announced that she will be visiting 16 different venues in 11 countries for the official European leg of her Black Magic tour. The Mama Africa has been facing huge criticism from her home fans who have been clamoring for more hit songs from the singer. In response, the 28year old Abia born singer said she is concentrating on the positives and ignoring all the negative vibes. "If you can accept the great positives in life, you should be able to take the negatives that comes after it, shrug to the bullsh*t", she wrote on her social story.